Besides working on translating the book of Mark we, as a family, have had lots going on over the past few months. First of all, Carrie was asked to be on the girl's varsity soccer team. Good job Carrie! Over the season her team did very well. The season finished up with two tournaments. One was here in the Philippines, and the other was in Thailand. 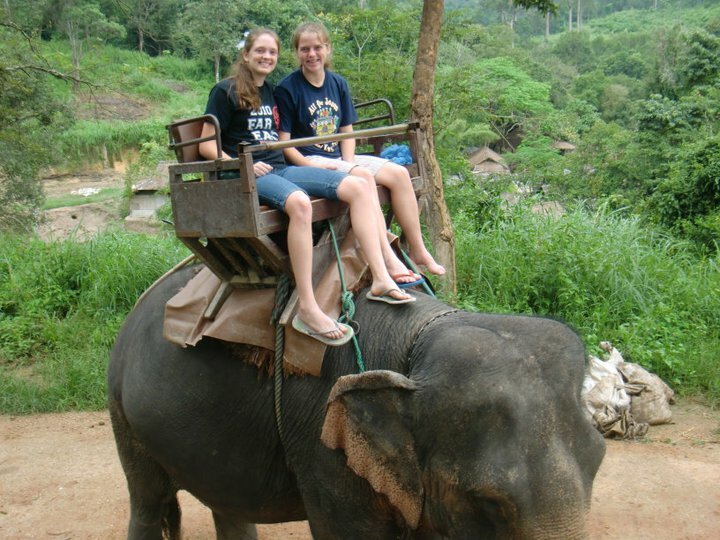 Going to Thailand was a very special treat for Carrie because she got to spend time with a friend of hers who moved there last year. 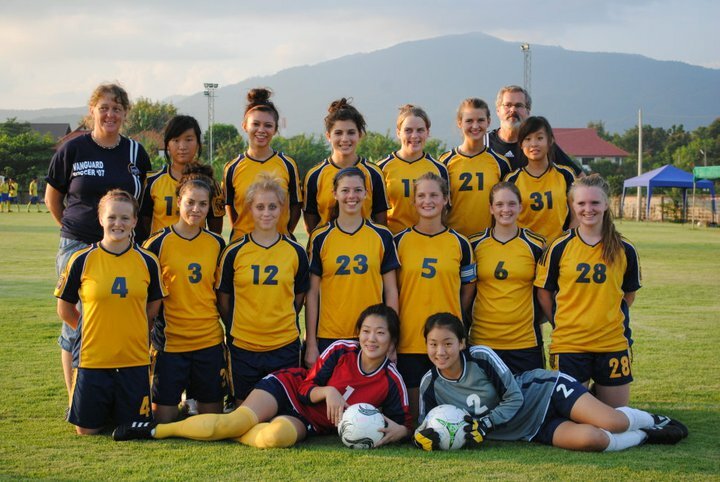 While in Thailand the team played soccer, had ministry time, and had tourist time. to go to an NTM ministry location in Northern Luzon with some of his friends. He jumped at the opportunity and spent a week far from the concrete jungle we live in. Would you believe these boys all have the same birthday? After the Iwak church service, Thomas entertained some of the people by juggling. It was something they had never seen before. Thomas has joined the tennis team and has been making steady improvement. He now beats his dad on a regular basis. The kids aren't the only ones who have traveled. 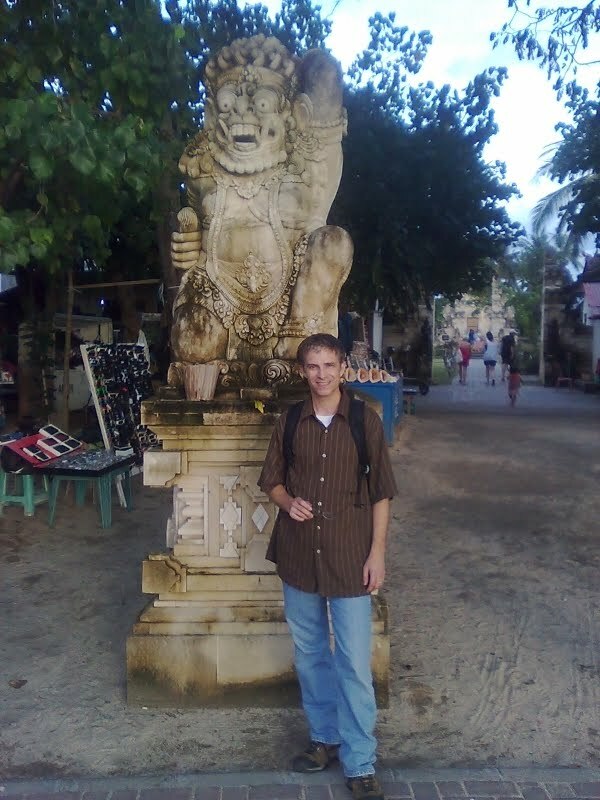 I made a trip to Bali, Indonesia and another trip to Mindanao, Philippines. The Bali trip was a training seminar put on by NTM. 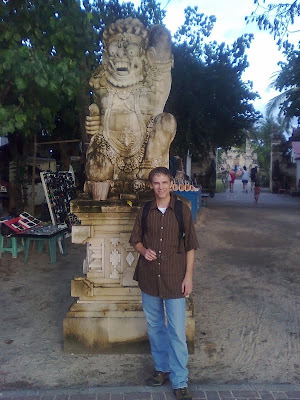 In Bali, I was surprised to find out that although most of Indonesia is Islamic, the island of Bali is mostly Hindu. There were idols and appeasement offerings everywhere. The traffic drove on the left hand side of the road. I didn't try driving, but I found that crossing the street was dangerous enough for me. I have a lifelong habit of stepping off the curb looking to the left instead of the right. The NTM meetings were very encouraging. We were trained in people group assessment among other things. My trip to Mindanao was for the Faith Academy School Board. It was good to meet the staff of the school there and hopefully to be an encouragement. Needless to say, I was glad when my travels were over and I could work full time on the translation.